Miromar Lakes Beach and Golf Club is a 1,800 acre residential waterfront resort community just north of Naples. It boasts more than 700 acres of aquamarine freshwater lakes for swimming, boating, water-skiing and fishing. 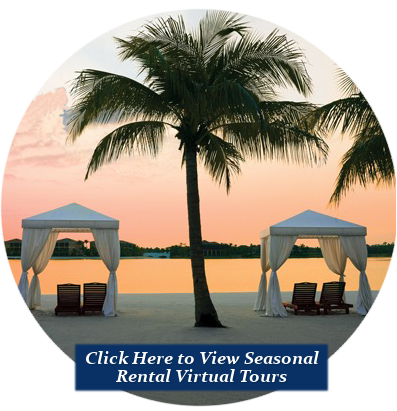 The community also has three miles of private white sand beaches and the only Arthur Hills signature golf course in Southwest Florida. The 39,000 square foot Beach Club is the centerpiece of Miromar Lakes’ award winning lifestyle, with three buildings directly along the waters’ edge: The Beach Clubhouse, offering gourmet dining, library, billiard room, card room, theater, business center and concierge services; The Blue Water Beach Grill, featuring an open air setting with panoramic lake and beach views has boat docks; and the European style spa, with facial and body treatments, full service beauty salon and state of the art fitness center. The Beach Club also features a 10,000 square foot, zero edge infinity pool, marine services, volleyball and basketball courts and children’s playground. The Miromar Tennis Club offers seven lighted Har-Tru tennis courts. The award winning Golf Clubhouse combines Old World charm with the style of an Italian country villa to compliment its 18 holes of championship golf, including six sets of tees for golfers of every skill level and a 15 acre practice facility. 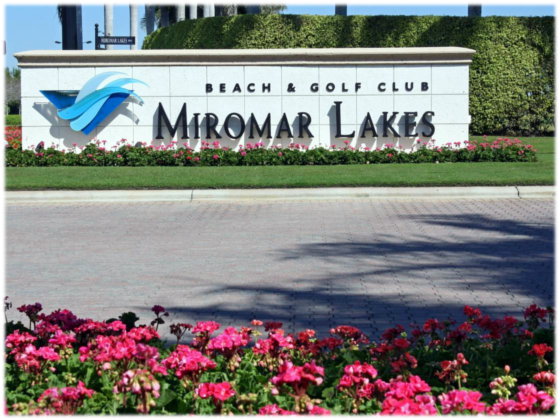 Miromar Lakes Beach and Golf Club has won 84 awards since 2003, dominating regional “Community of the Year” awards for eight consecutive years. Residential choices at Miromar Lakes include beachfront and waterfront residences, grand estates and estate homes, luxury villas, full floor residences and coach homes.